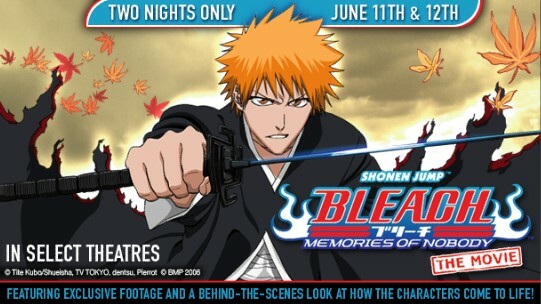 On June 11th and 12th (tomorrow), Fathom Events will be showing Bleach: Memories of Nobody in theaters across America. Start times for both days are at 7:30pm EST. To find out where the movie is playing near you, visit Fathom Events. Along with a special behind the scenes making with the voice actors who play Ichigo, Rukia, and the others, there will be a special interview with Tite Kubo, the creator of Bleach! Support anime in theaters so that we can see more movies on the big screen!